The U of M student chapter of APWA has had a good start to 2019, and we are excited for the rest of it. We have three new student officers. Joe Dunlap is now our president. It seems like everyone is figuring out their new roles quickly. The chapter hosted a networking event at Applebee’s on the evening of February 28th. There were approximately 30 attendees at the event. Each semester, the Civil, Environmental, and Geo-Engineering department welcomes newly-admitted undergraduate students. Several officers attended this event, and were able to inform incoming upper-division students about this organization. Coffee and muffins were offered to students in the Civil Engineering Building, which sparked conversations and interest in APWA. Our plans for the rest of the semester include hosting a Lunch and Learn and coordinating a technical tour. The topic of the Lunch and Learn will be on the transition from school to employment as well as what students should expect after graduating. This is something many students are uncertain about, and having young professionals discuss their experiences will be informative. The technical tour will be at the Specialized Environmental Technologies (SET) composting facility in Rosemount, MN. We appreciate all the support we get from APWA-MN. 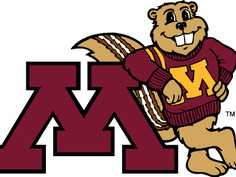 Thank you for enabling these opportunities for students at the University of Minnesota! Please let me know if you have any questions.